On-loan Arsenal striker Philip Roberts would love to extend his stay with Inverness Caledonian Thistle - and experience a League Cup semi-final. 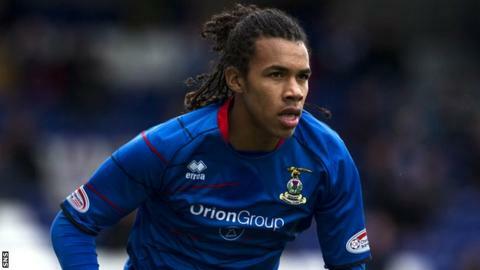 The 18-year-old has made seven appearances and scored once for Caley Thistle, but his current deal from Arsenal is due to expire in January. That comes before the semi-finals on Saturday 26th and Sunday 27th. "I definitely want to be part of that day, but I don't know what's going to happen in January yet," said Roberts. "Me and the gaffer have spoken, but we are taking things slowly and seeing what's best for me and the club. "I wouldn't mind sticking around until then, but it's still got to be sorted by the two clubs." Roberts' latest start came in Wednesday's 3-0 win over Rangers, the result at Ibrox against the Third Division outfit securing Caley Thistle's progress in the Scottish Communities League Cup. They join three other Scottish Premier League sides - Celtic, Hearts and St Mirren - in Thursday's semi-final draw, which will be held at Broughton High School in Edinburgh.